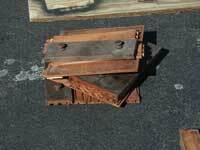 This piece is not all that old, but it had seen better days. 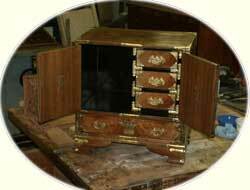 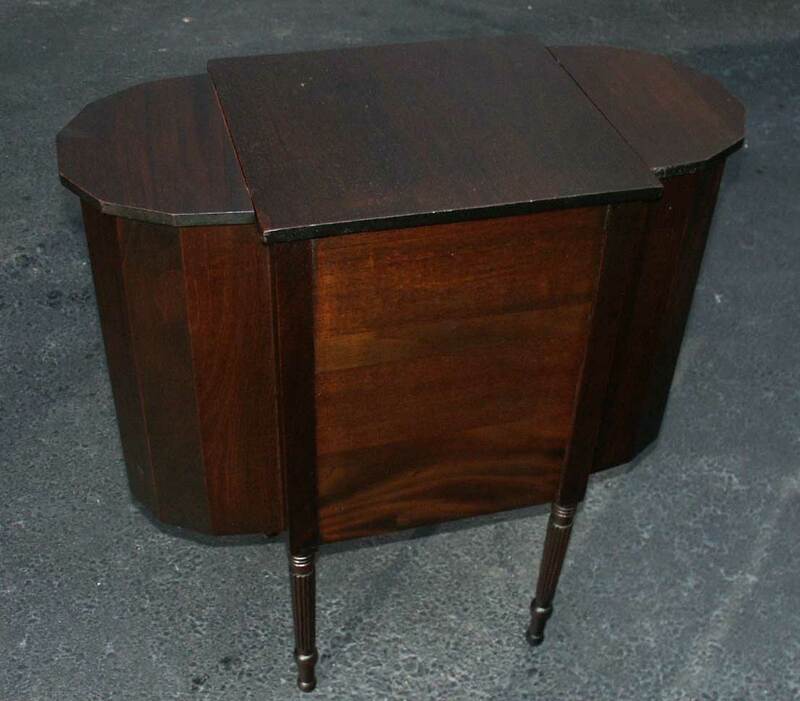 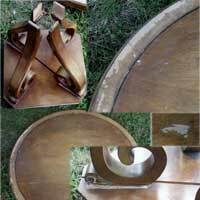 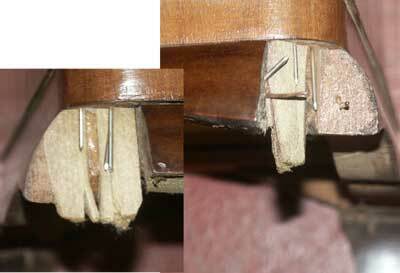 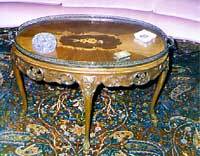 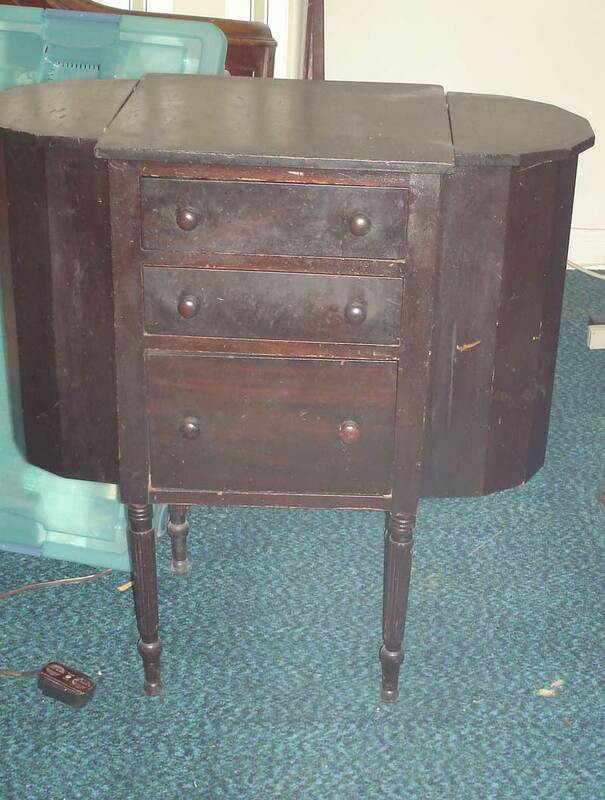 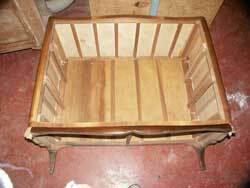 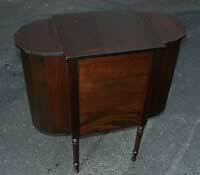 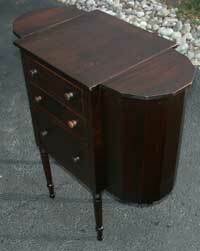 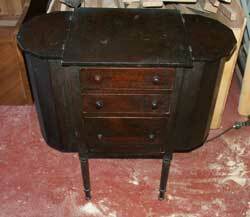 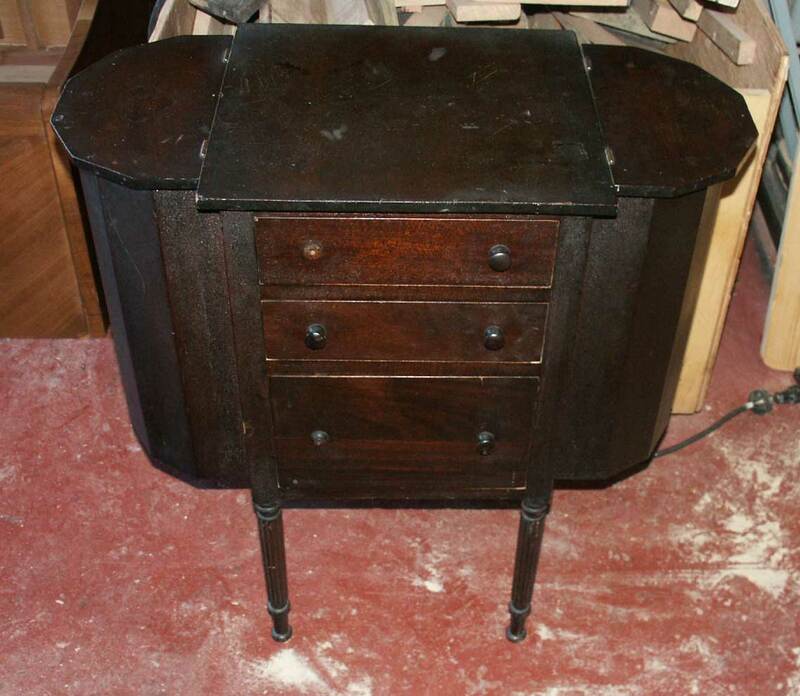 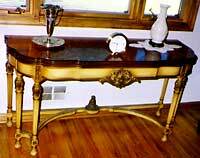 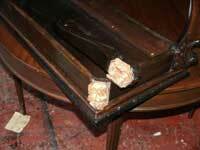 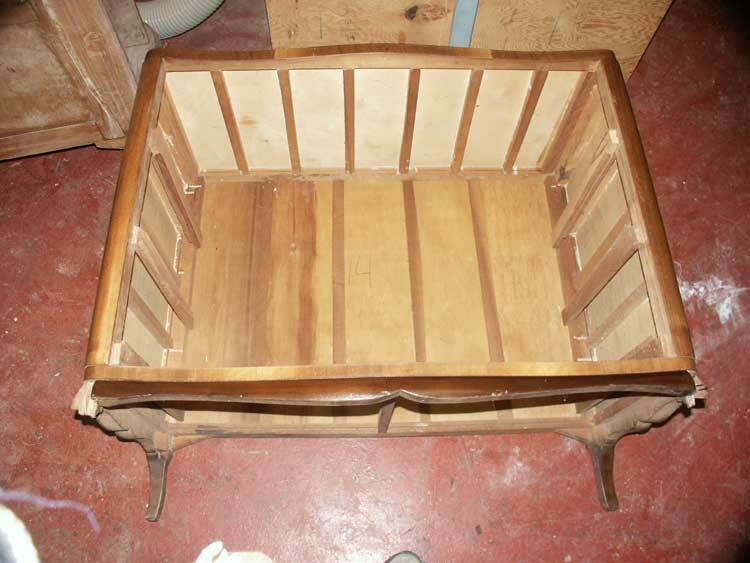 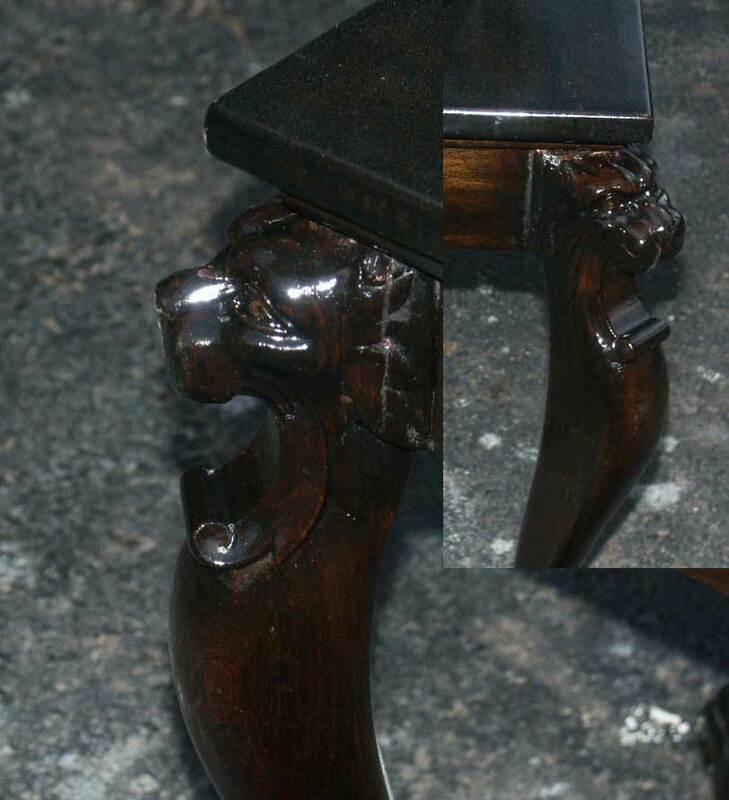 A cracked and broken lacquer finish, broken legs, and separating drawers were a few basic features. 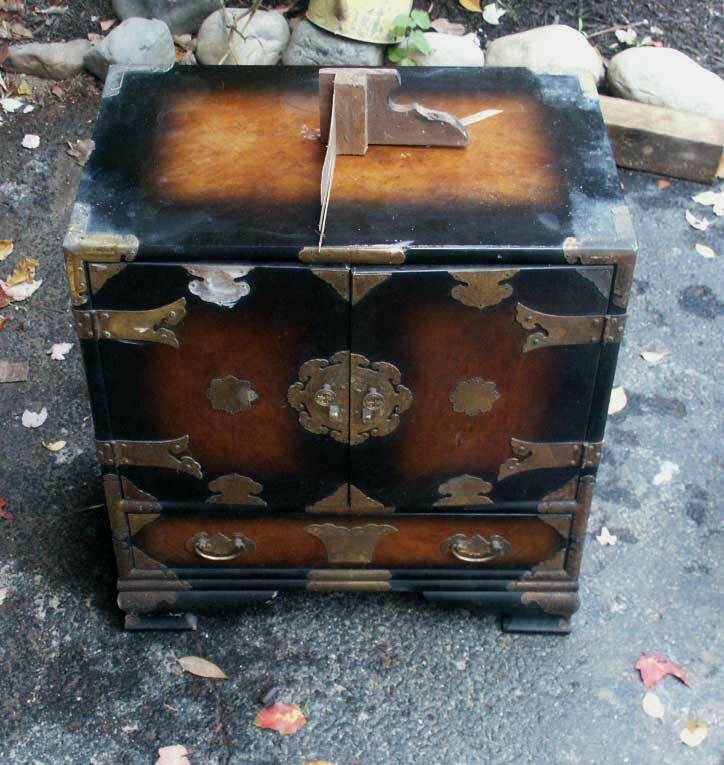 We had the piece stripped, removed the brass hardware (this offered much detailed dismay figuring there are 28 pins in just ONE brass corner, but we got through it) and proceeded to refinish the unit in a hand rubbed tung oil. 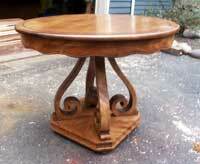 Artisans restores lots of these small tables every year. 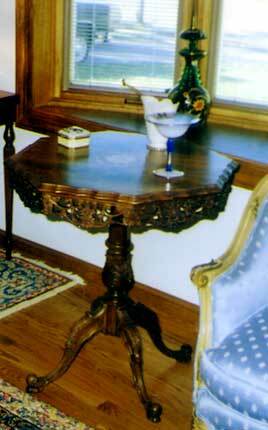 Some of the most intricate work goes into marquetry, carving, and simple lines on small tables. 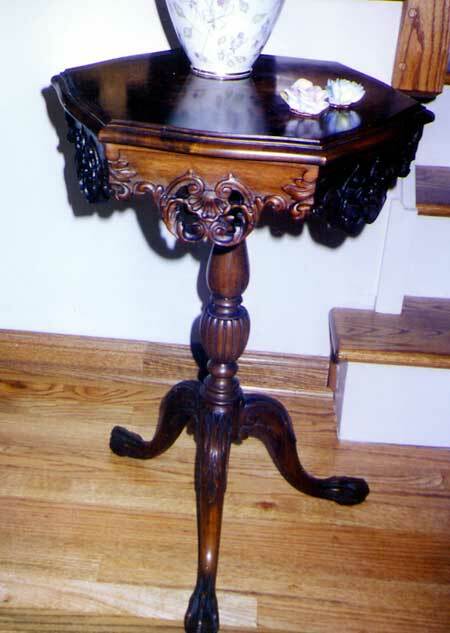 The photos below are projects from a ways back, prior to digital photography so we do not have before shots. 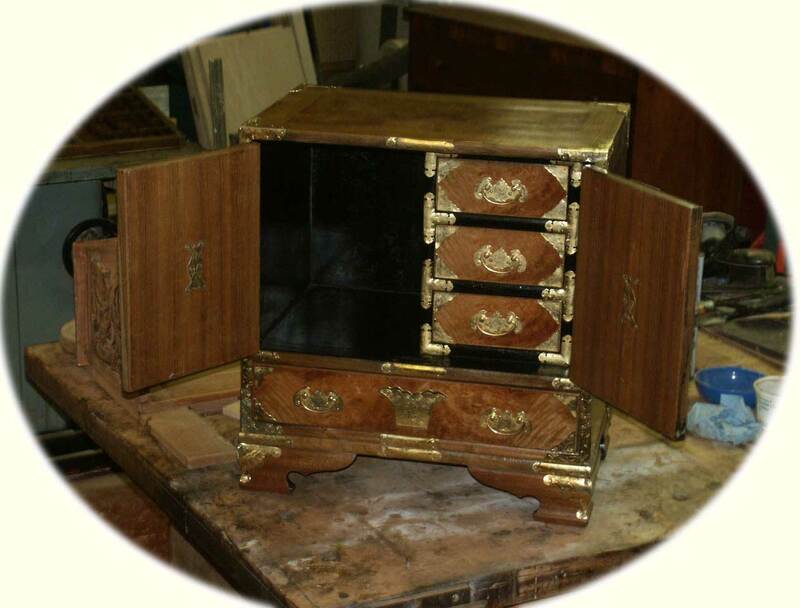 The final results, however, should speak for themselves regardless of how the pieces arrived in our shop. This was a truly bad break, a shattered leg that has several signs of previous repairs. When a piece breaks in this condition, we not only have to repair it, but remove other old restorations including glue, screws, nails, dowels, and other intrusive materials. 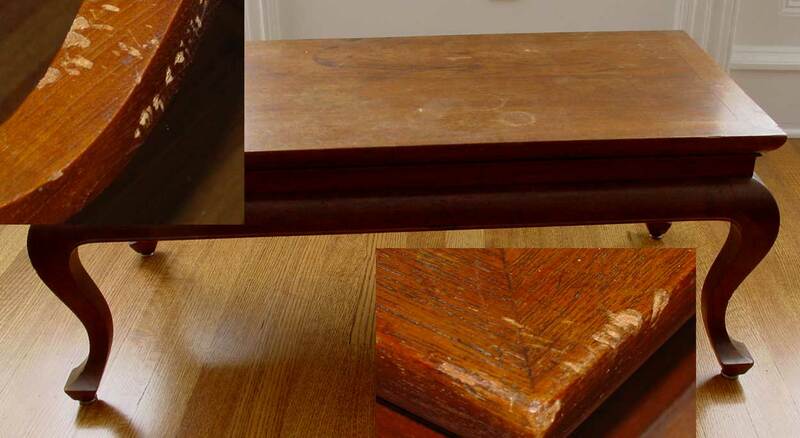 This unit is obviously covered in deteriorated finish, appearing to be a later shellac. 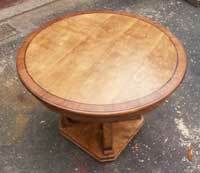 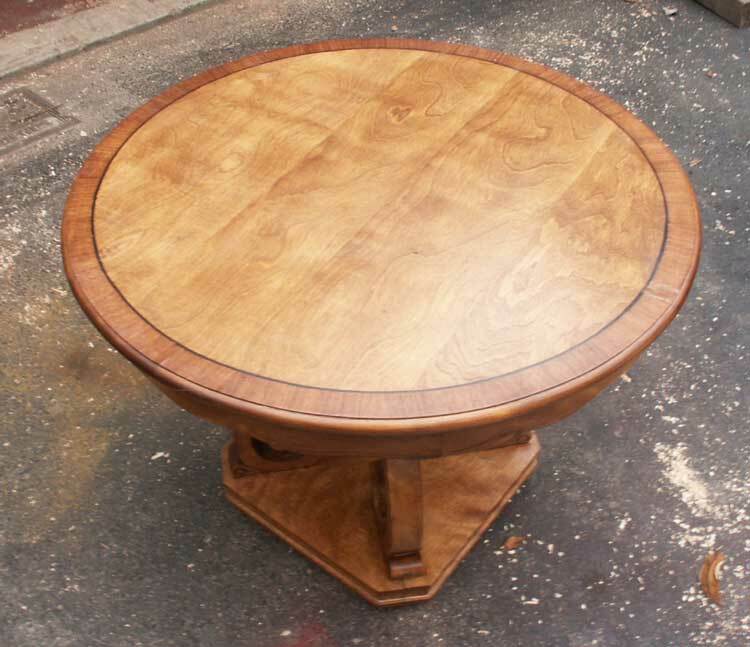 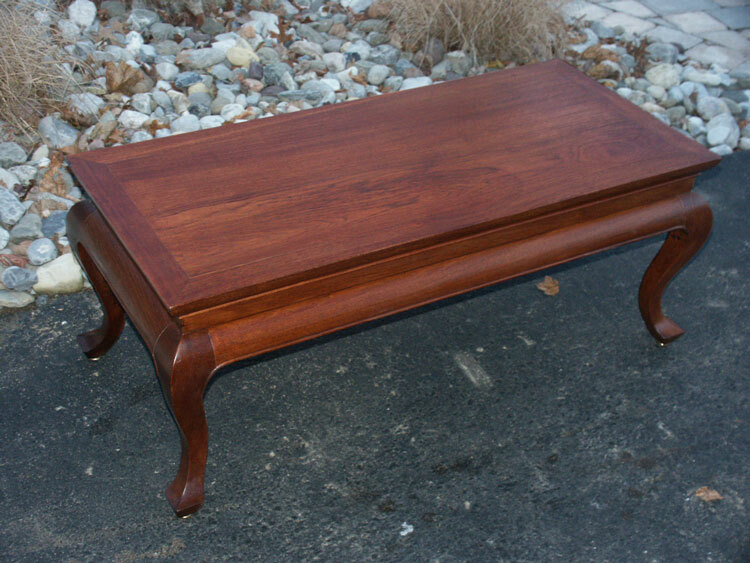 It's solid mahogany, and will refinish quite nicely. Check back soon - for the first one, then check back shortly there after for the second one, a second identical sewing table will be in the shop soon as well! 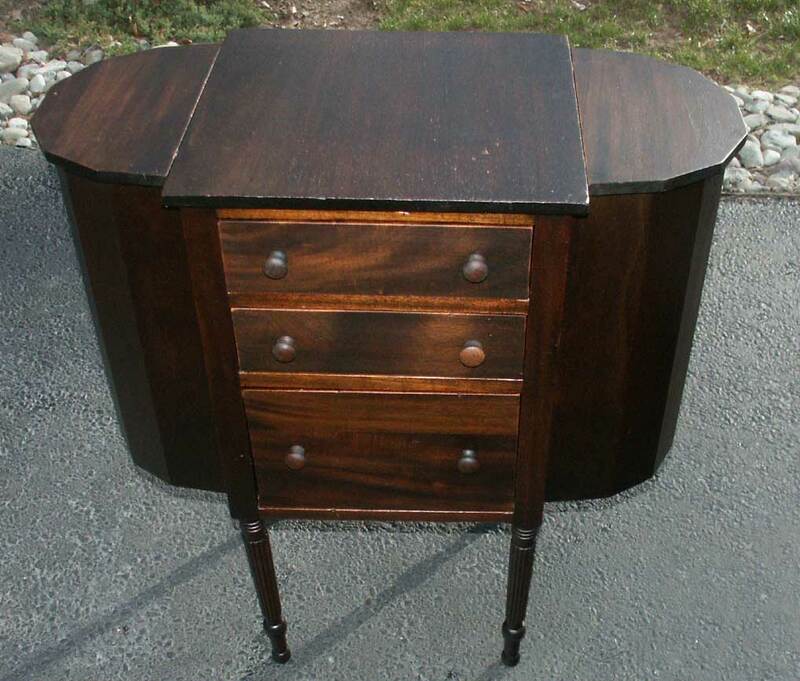 This dresser didn't fare it's shipment well. 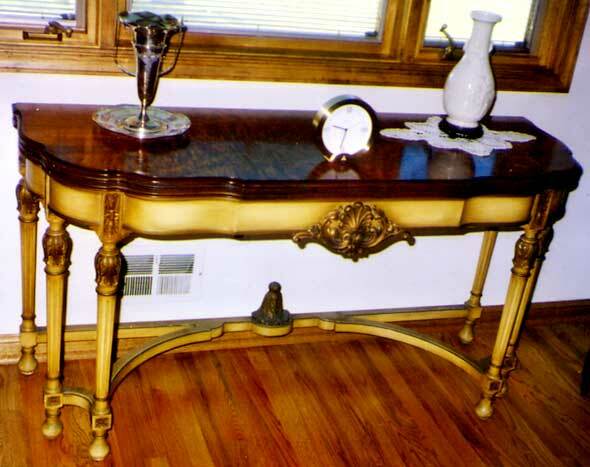 We love movers and shipping companies, they give us a great deal of business! 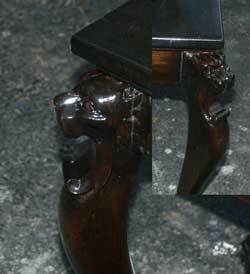 One leg was recovered and delivered with the piece, the other is MIA. 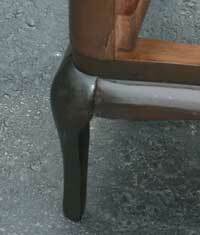 We will reattach the leg that is available, and reproduce a new leg for the other side. 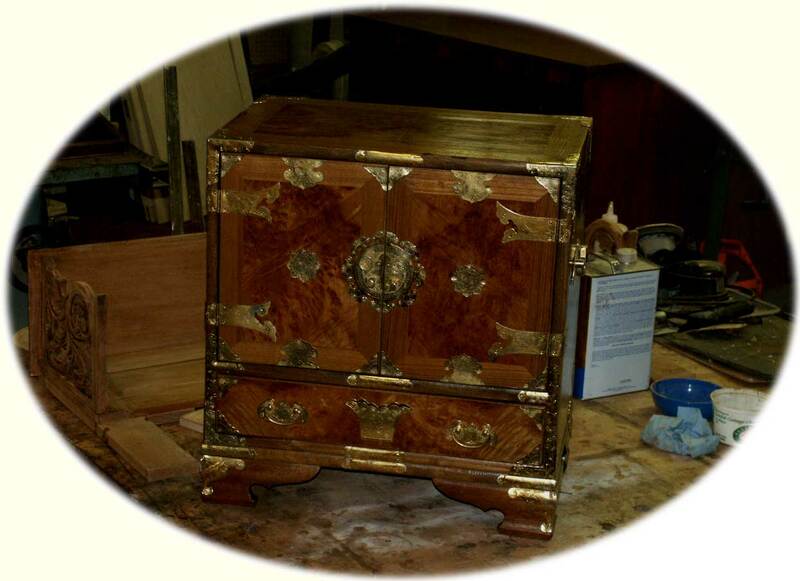 Check back shortly, the piece will be done by the end of January. 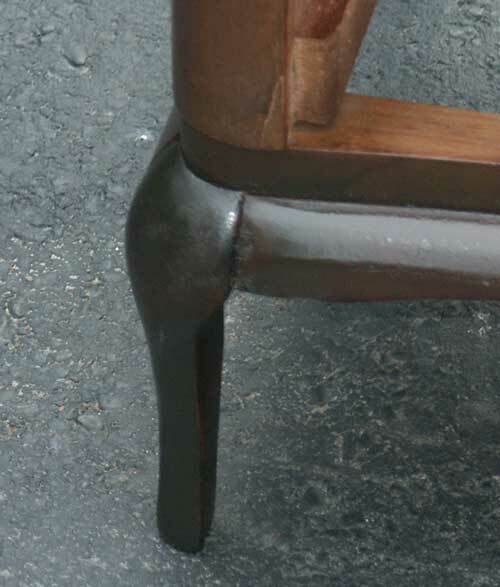 See if you can tell the reattached leg from the reproduction.